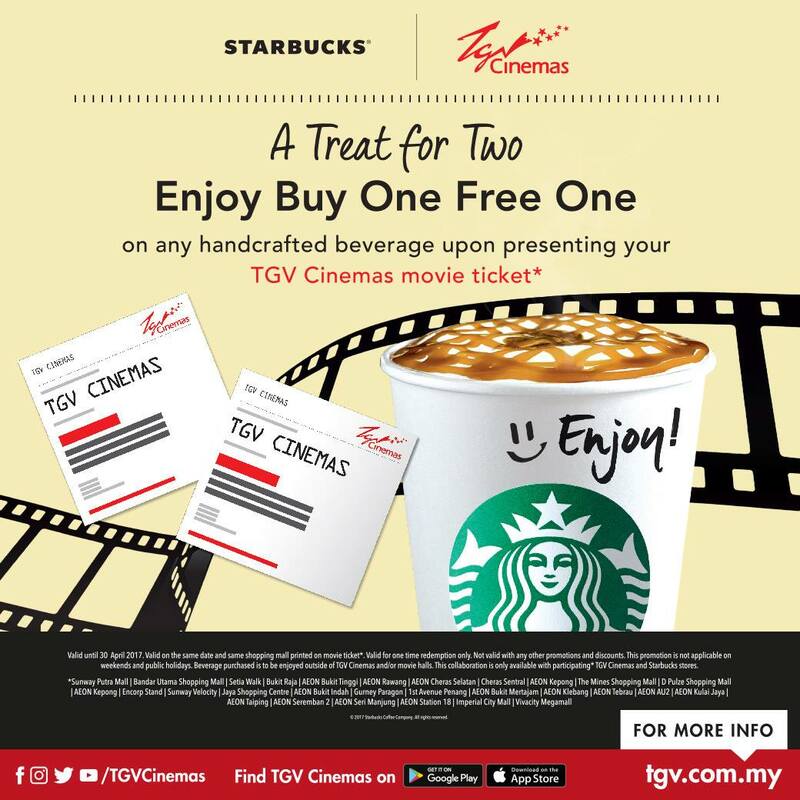 Starbucks Malaysia is offering Buy 1 Free 1 drinks by presenting your TGV Cinemas movie ticket on this April 2017 at participating stores while stock last. Promotion is valid until 30 April 2017. Valid for any handcrafted beverage upon presenting minimum ONE TGV Cinema movie ticket. Valid on the same date and same shopping mall printed on movie ticket. This promotion is not applicable on weekends and public holidays. Beverage purchased is to be enjoyed outside of TGV Cinemas and/or movie halls. TGV Cinemas reserves the right to change the terms & conditions for this promotion whitout prior notice.